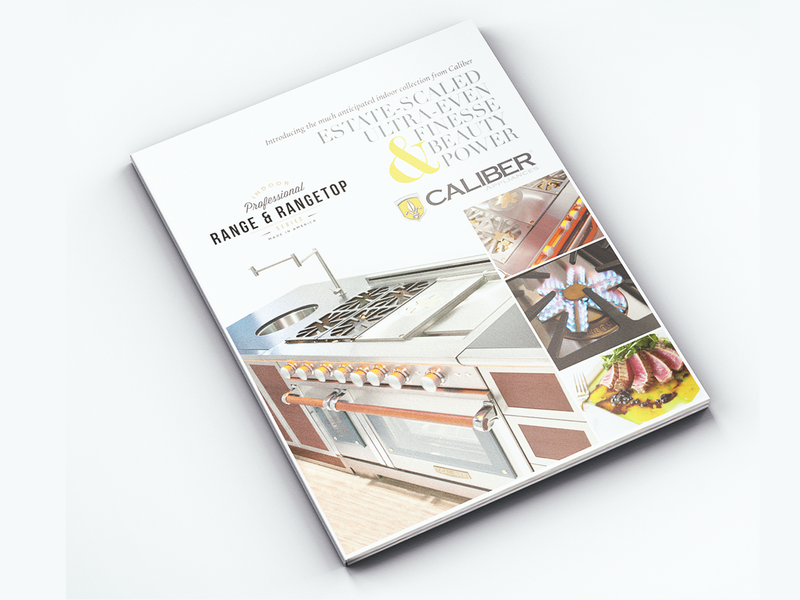 Caliber Appliances has been designing and building high-end luxury grills for years and more recently stepped into the Professional Range and Cooktop category, developing restaurant performance gas ovens. 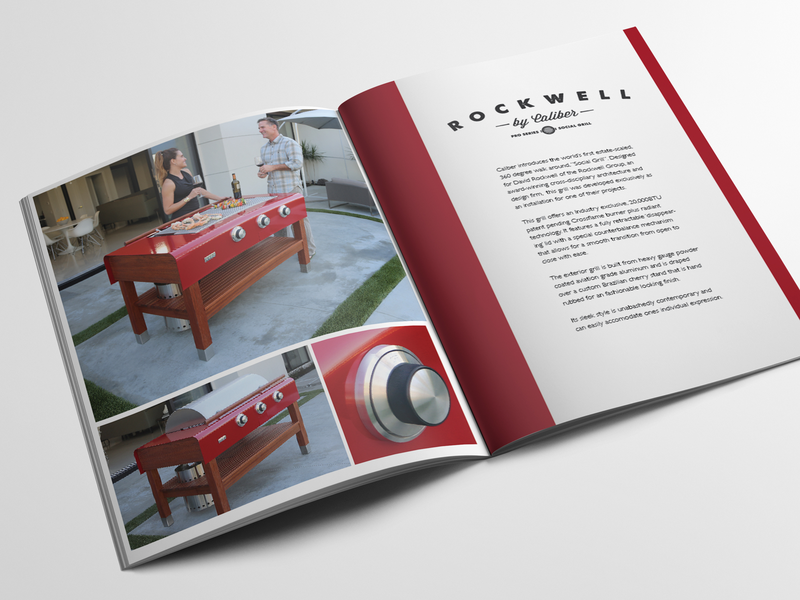 The company won the prestigious Vesta Award for Innovation in Design and Technology for Gas Barbecues and has been featured in magazines such as Food & Wine and Forbes. 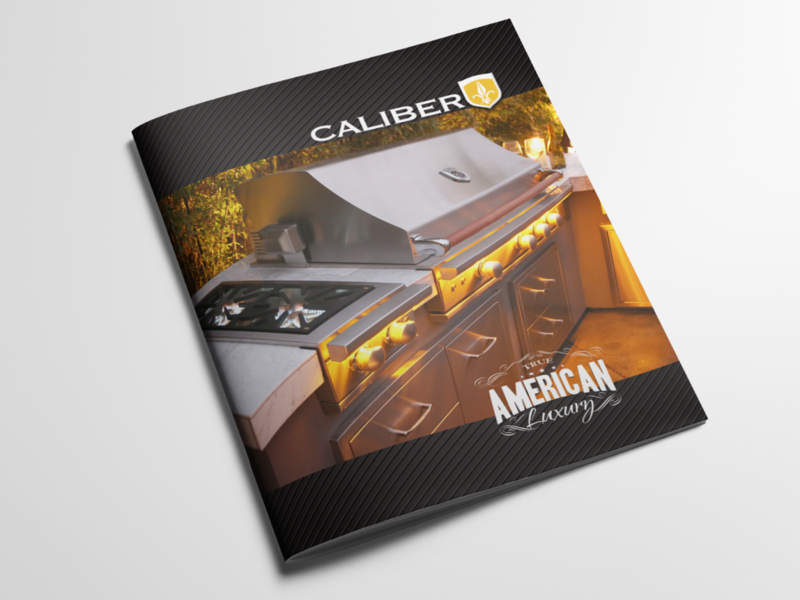 Caliber prides itself on quality, manufacturing their entire grill and range model lineup in the United States. 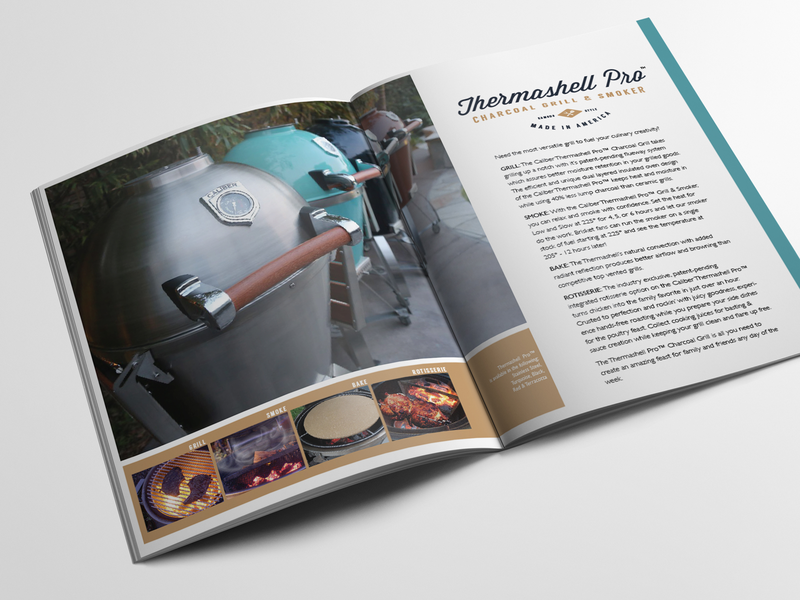 Their products not only feature a beautiful design but are built to last. This needed to be communicated with the colors and type of font that were chosen for each model series. Particular care was taken to differentiate some of the models’ more unique features. 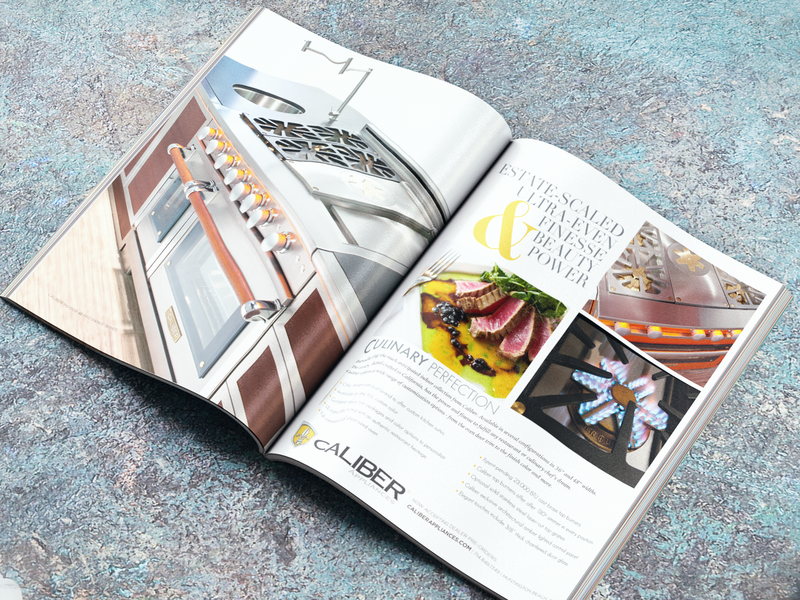 The branding had to speak to the elegant yet robust products that the company offers. Every product has a unique identity to parallel the model’s design and development process. With the new Indoor Series, we have continued the branding approach, by designing a whole new identity and refining the specific tagline for the company’s advertising and collateral materials. 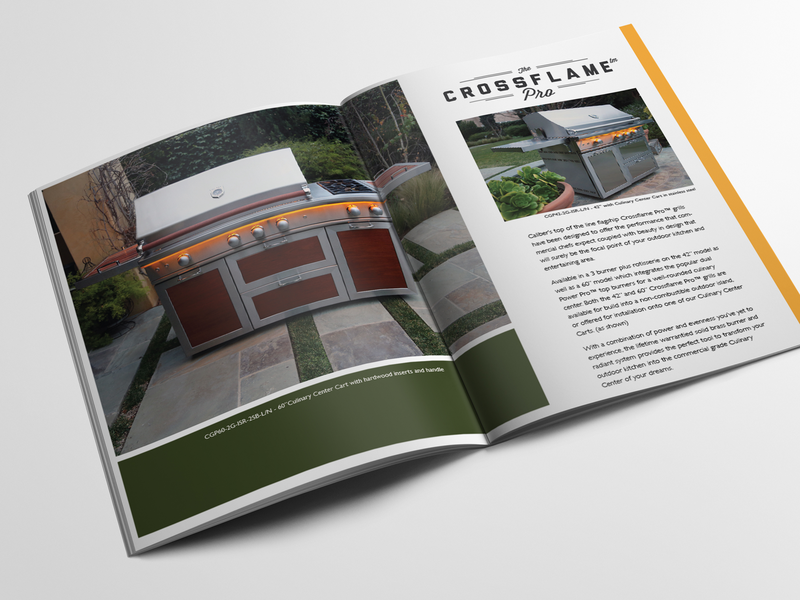 The product brochures and catalogs include clean lines and emphasize the design elements within the specific product. 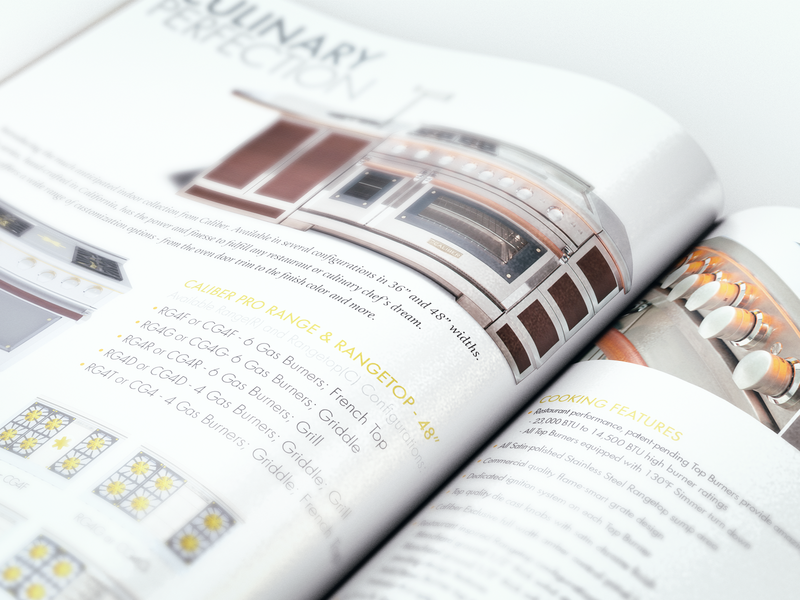 The design colors emulate the colors used on the actual product to give the collateral a unified look throughout.